Nearly half of employers surveyed by CareerBuilder said they knew whether a potential employee would be a good fit within the first five minutes of an interview. Close to 90 percent said they knew within 15 minutes. The survey measured responses of 2,201 hiring managers across all company sizes and industries. 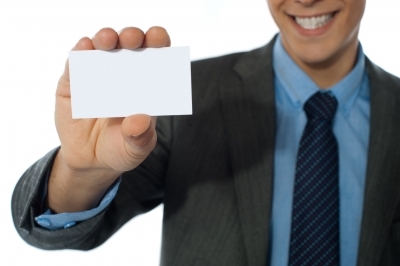 Many Silicon Valley execs won’t “waste” paper by using business cards. Yet despite the trend to exchange contact information using smart phones, many people continue to hand out cards. Even actor Daymon Wayans, who is marketing an app that claims to eliminate the need for business cards altogether, had to gather cards at world’s largest mobile phone conference in Barcelona last month. Still, he only gave out his own card to a few people he really wanted to connect with. Creating a personal mission statement can help provide young people entering the work force with important insights. A personal mission statement describes an individual’s essence in a nutshell and can help define the person’s core beliefs. By defining those values, job seekers can look for employers who share them. A career vision statement defines what an individual wants from a career. Creating a career vision should take a big picture view of where the job seeker would like to be in the future. The career Website quintcareers.com offers excellent articles on how to create both types of statements. This entry was posted in 1. The Scoop and tagged business cards, career vision statement, Interviews, personal mission statement, resumes on April 23, 2014 by bizcombuzz.